Rats are incredibly common as home-invading pests, and they are on the larger end of the spectrum when it comes to rodent size. They have demonstrated that they can be smart and it shows when they display such intellect when finding ways to get in and out of your home undetected. While mice are safer when it comes to do-it-yourself trapping, rats can be a bit more dangerous. Unfortunately, due to rats’ intrusive nature, you may face these dangers and need the help of a professional. There are many ways that you can stand to benefit from hiring a rat exterminator. A primary concern should be getting rid of rats immediately to prevent damage. Rats need to gnaw on things to maintain their incisors, so it is not uncommon for them to chew on furniture, belongings, or even the wiring of your home, which could become a fire hazard. 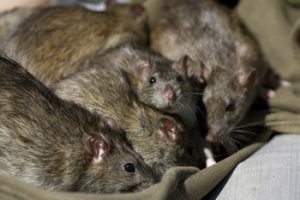 A professional exterminator has the experience and knowledge to properly handle your rat problem safely and effectively without risking harm to you or your family. 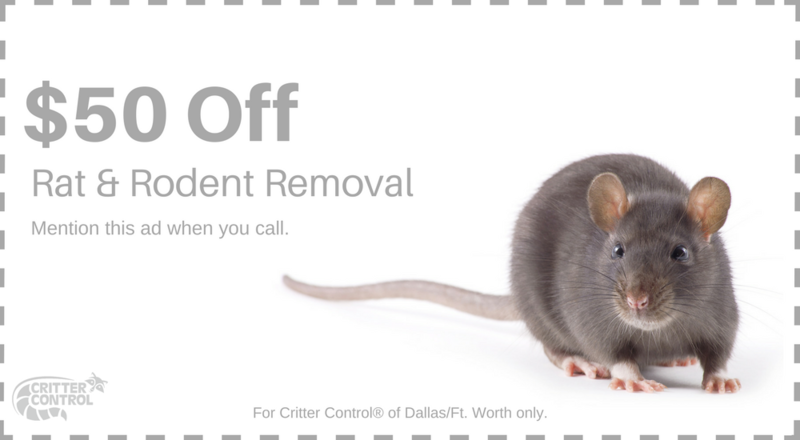 At Critter Control® of Ft. Worth, we seek to assist you with any rat infestation problems and can send over a specialist to handle the eradication of rats in your home. Contact us today at 469-805-6267 for your free consultation.